Deposit or withdraw using PayPal. Get that authentic casino experience. 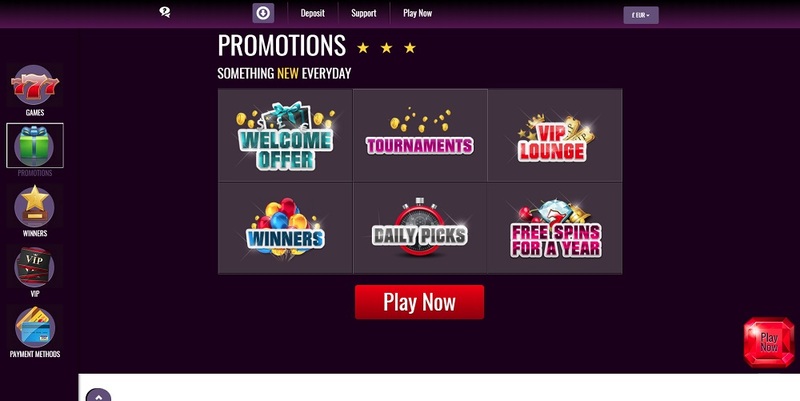 SlotsMagic Casino is licensed by the UK Gambling Commission and the Malta Gaming Authority which offers a live chat and e-mail service 24/7, plus a very good FAQs section for any instant questions that you may have. SlotsMagic is a puzzling casino. From the outside the design looks tired, the buttons look worn, and the whole feel of the site seems dated. But once you sign up and log in, a whole new world comes to life offering a smooth, modern and innovative style. 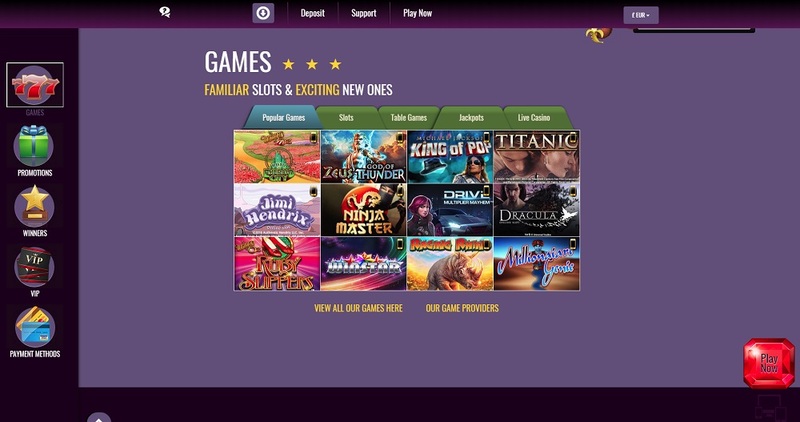 The gaming lobby is excellent with excellent filters and stylish buttons, and that is all accompanied by a perfect navigational set up which allows you to access any page of your choosing with two clicks or less. 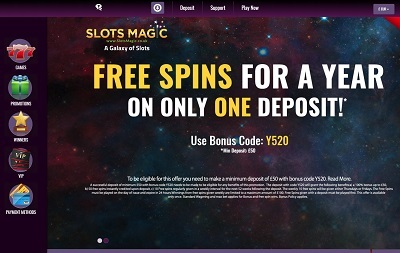 SlotsMagic really is up at the top alongside the most impressively designed casinos out there. SlotsMagic is home to all the most popular payment methods including the ever illusive PayPal along with Visa, Mastercard, Skrill, Neteller, WebMoney, paysafecard, and ecoPayz. The minimum deposit is £9.50p and the maximum deposit is £50,000. The minimum withdrawal is £30 and the maximum withdrawal is £10,000 per month. 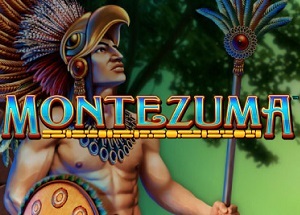 Offering just over 300 games, SlotsMagic doesn’t offer the widest array of games out there, but it really does offer quality, such as the millionaire-making progressive slots of Mega Moolah, Mega Fortune and The Naked Gun, plus all the classic titles like Starburst, Rainbow Riches and Gonzo’s Quest. 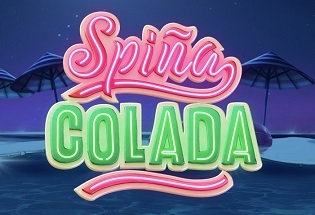 But it’s not just slots that this casino excels in; it’s also the huge range of traditional table games and live casino games which seem endless with blackjack, baccarat, roulette, and other variants all on offer. 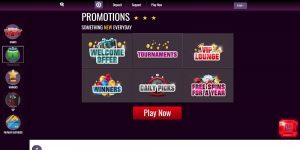 SlotsMagic has been on the market a few years now since its launch in 2014, but it hasn’t been left behind with the times one bit. Despite its curious landing pages, SlotsMagic, like most good books, shouldn’t be judged by its cover because what lays underneath is really quite special. 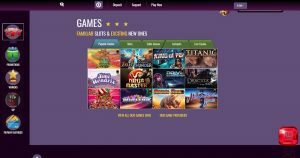 Not content with offering a wonderful layout and excellent navigation, SlotsMagic also provides a manageable amount of games to choose from with all the best titles included like Starburst, Rainbow Riches and Mega Moolah. SlotsMagic are all about the quality, not quantity! When you throw in the 24/7 customer support, the excellent banking methods, and the huge live casino library; then it’s very hard to find anything that lets this place down. This casino really is magic.